In spite of being in use for many years, shade sails are gaining popularity among many business owners and homeowners alike. It’s probably spurred on due to their awareness regarding the different benefits of using shade sails such as low negative impact on the environment, lesser need for the cooling systems, and how it helps in improving the image of a establishment or a residential property it’s attached to. 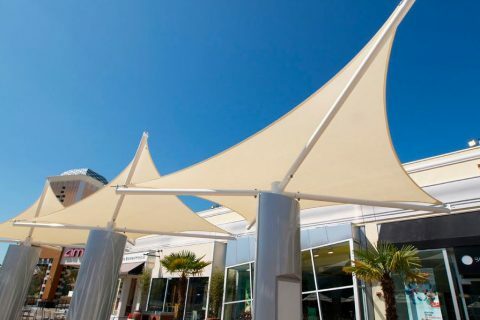 Orange County shade sails for malls offer great benefits. During a hot and sunny climate, shade is important to provide relief and coolness from the sun. It is especially true when people are outside and want shade on sunny days. An exception might be kids who are very busy running around and playing to consider staying under the shade. Due to this, it can result to sunburn and can cause cancer once they get older. Why Shade is Important for Kids? If you have a business in a mall and you offer services made for kids, it is crucial to provide shade for kids in an outdoor play area. It may be done best with shade cloth, which can be an affordable solution because it is lightweight. It does not need to have the same type of strong foundation and framework that a roof would require. 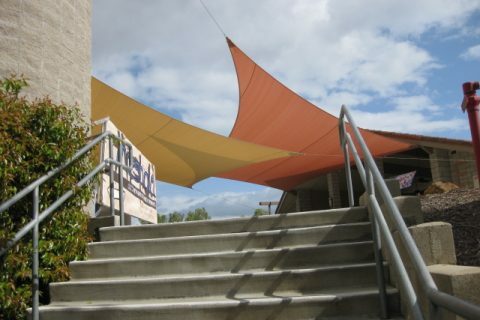 OC Shade Sails has the best options for shade sails ideal for your needs. The children’s tender skin is more prone to burning compared to the skin of an adult. And more often than not, children go without long sleeves and hats to protect them. If they’re in a mall, some guardians do not have time to cover them all in sunscreen before their playtime. Kids often forget to drink and sometimes, the little ones cannot manage to get their flask. Unless the maid or guardians are vigilant, they will not know the kid has missed out on proper hydration. 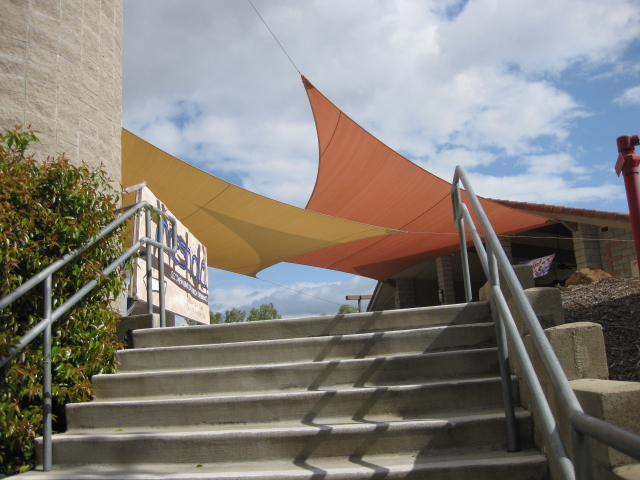 Yet, with the help shade sails, these can prevent dehydration and protect the children from the harm of direct sunlight. Why Shade is Essential for the Elderly People? Elderly people will be able to enjoy the advantages of fresh air and a bit of sunshine before deciding to sit down in a shade to enjoy good scenery around malls. Some elderly people who aren’t used to walking inside the malls would rather just sit outside the restaurants or shops with shade. You have to take note that elderly is more likely to suffer from dehydration and heat stroke than some age groups, if there’s no shade to provide shelter from the sun’s heat. Whether you care for elderly people around malls or you have a business near a mall, it is essential to provide shade for them and you can achieve it through Orange County shade sails. If you are planning to install a shade sail in your business at a mall, make sure to check the regulations first if they allow it to avoid any inconvenience or problems in the long run. Just see to it that you get shade sails from the best provider like OC Shade Sails.